Drones are in the news month after month, however, for good and bad tidings—some stories talk about the unmanned aircraft systems with fear and trembling if turned into weapons of destruction. Other stories turn to the rich potential of drones in crop monitoring and online commerce. Both sides agree that drones are here to stay. Back in September, an article in Bloomberg pointed out that "the Drone Age is now just around the corner, making it high time to prepare for the numerous safety challenges it will pose, according to Airbus SE." Technology in and of itself cannot be argued as good or evil. All in all, you want to avoid throwing the baby out with the bath water. The important perspective to maintain is that expressed earlier this year in Forbes, when it quoted a Huffington Post blog from Daniel Burrus. "Technology can give you cancer, and technology can cure your cancer. So it's not about whether technology is good or bad; it's about what we decide to do with technology that matters." One of the important things we can do is see to it that the drones receive the benefit of at least safety standards. That wish is fulfilled this month. The news is that the first how-to-keep-it-safe standards for drone have been unveiled. The draft standards for operations are global standards. They are in the form of a draft set by the International Organization for Standardization (ISO). The standards were developed after several years of collaboration among standards institutions. Charlotte Jee, who writes the tech newsletter "The Download," MIT Technology Review, pointed out they were not only for maintaining safety but to help ensure drone operators are held accountable. Looking at the standards topics, they are to cover a wide scope of drone aspects. She said the draft set was for public consultation, open until January 21. "The standards are expected to be adopted worldwide later next year." Here is a brief rundown of the topics covered in the standards set, thanks to the article in "The Download." (1) "no-fly zones" so that the drones keep a needed distance from airports or sensitive locations. (2) geo-fencing technology to stop flights in restricted areas (3) flight logging, training, and maintenance (4) operator regard for privacy and data protection (5) a fail-safe means of human intervention for drone flights. The standards address accountability for drone operators. Matthew Field in The Telegraph noted that the standards would be calling on flyers, for example, to keep drone hardware and software up to date. If one were to put all this in a bottle, you could call it, in the words of Open Access Government, a new 'etiquette' for drones. The scope attends to no-fly zones, local regulation, flight log protocols, maintenance, training and flight planning documentation. The open access government site appeared to be heartened over the development of the concepts of geo-fencing and "counter-drone technology," as regards 'rogue' drone use. Those interested in the future of drone safety requirements can anticipate more good standards news in the future. The Thursday launch is just the beginning, as there are more standards sets to come. Three more sets will go deeper into technical specifications, manufacturing quality and traffic management, said Jee. Robert Garbett led the ISO working group responsible for the global drone standards. What does that mean, though, that the standards are for public consultation? For who, really? According to The Times of Israel public consultation means "with drone professionals, academics, businesses and the general public being invited to submit comments by January 21, 2019." The UK is one part of the globe that recently expressed concern over drones and their safety future. 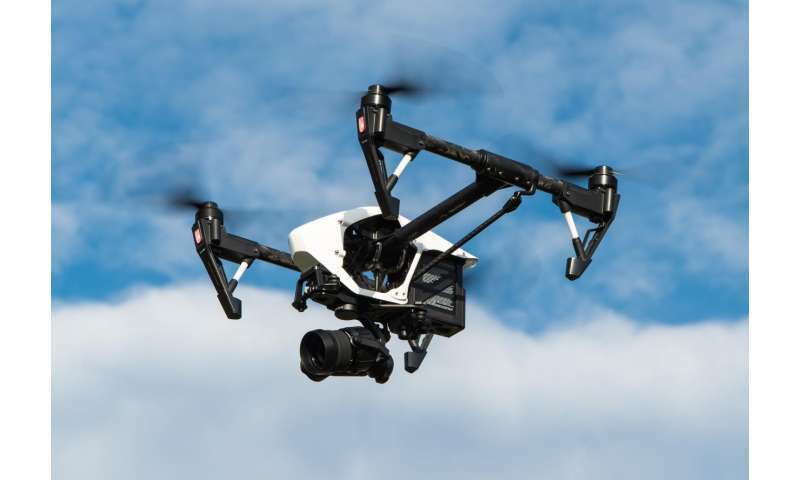 Jee referred readers to an article in the Financial Times where the head of the UK's air safety board said that half of air traffic incidents now involved drones. Matthew Field in The Telegraph reported that "Amateur drone pilots have also come close to causing mid air collisions with commercial aircraft." With that said, you might ask if the industry is groaning under the weight of the news that there are rules which will govern their practices? Not at all; in fact Open Access Government said, "organisations throughout the world are galvanised to adopt drone technology against a new background of reassurance on safety and security." They quoted Garbett. "My conversations with drone buyers, manufacturers, users and the wider public indicate that these Standards are warmly and enthusiastically welcomed by all." Meanwhile, in the UK, Field said government planned to introduce rules that "pilots of drones of more than 250g in weight to take a dedicated online safety test with the Civil Aviation Authority or face up to a £1,000 fine." The new pilot requirements come into force next year.